Whenever „the media“ wanted to talk to us, we didn’t decline their offers. Partly because there was not much opportunity to do so. Where we came from, writers interested in Ska bands were a rare species. Either you took your chance or you didn’t get any press at all. We had heard rumours about bands with press agents whose jobs were to make sure that the time windows reserved for promotion were used as effectively as possible. Until we would have reached that stage, we simply agreed to meet everyone, not even asking which fanzine (because it could only be fanzines) they worked for. Thirsty, hungry and broke at a Ska show? Impersonate a writer and you have a good chance for some backstage beers and crisps from The Braces. I still have no idea, which „medium“ was behind the guy who introduced himself as Chris Hunt. The interview with us was conducted sitting on a meadow near Seven Sisters Road next to the venue Sir George Robey, at the first day of the 1st London International Ska Festival. It must have been a very warm December day. The whole band was present. An interview with The Braces was easy to get, but hard to do. The conversations with journalists usually went along one of two possible routes. Neither was very pleasant. The other scenario was something we perfected on our trip to England: Answer the well-put, well-informed, well-intended questions with one word sentences, followed by short, too loud, hysteric laugh, then try to form a complete sentence and fail. After the arduous 30 minutes with us Chris asked, whether there were times when we talked more. „A good question. „Ha …“. The weirdest part about the whole affair was that Chris somehow befriended the band. Our organ player Greg and he still write each other Christmas cards, their estates exchange visits from time to time. It seems as if the difficult situation with us only made Chris Hunt stronger. Last time I checked he hadn’t quit his job as a reporter. Quite the opposite. According to his website and Wikipedia, Chris Hunt has moved on to become the Editor of various music and Sports magazines including Mojo and NME, and he is the author of various documentaries for the BBC, one of which is a video diary from the Football World Cup finals in Germany 2006. An interview with an upcoming Ska band called The Braces wasn’t mentioned on Wikipedia. I will have to fix that. 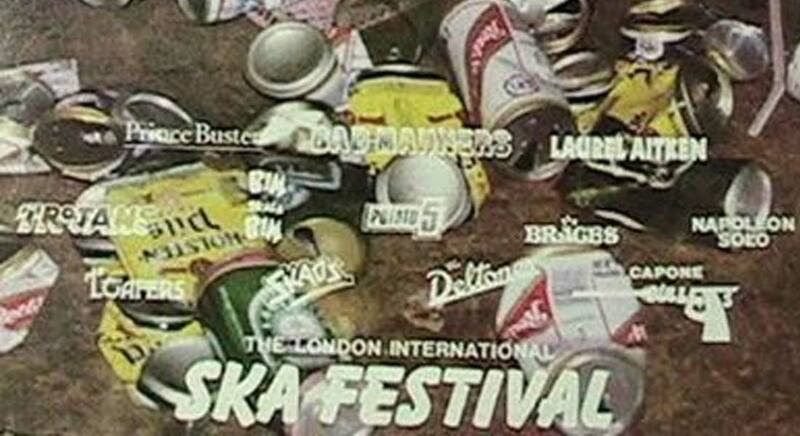 This post is part II of a series around the 1st London International Ska Festival in 1988. If you like to see part 1, go here. Love it! In the early 90s, I remember trying to set up a press conference for the reformed Selecter before what must have been their first NYC show since the 2 Tone era (or something like that). I sent out press releases to music writers from The NY Times, Spin, Rolling Stone, CMJ, and many more, but in the end, all who showed up were people from skazines (bless ’em). And they pretty much ended up hanging out and drinking beer with Pauline Black and Neol Davies…I don’t think one interview came out of it! @ Steve: Great episode. And another hint at the big(ger) media’s allergy to Ska music in that era. Chris Hunt sent in two additions and corrections via email. 1st addition/correction: “Was that gig really in December? I remember it as being a lovely summer’s day as we sat on the grass in Finsbury Park doing it. I’ve just tried to see if the date is in my old diaries but I can’t find it. I’ve still got the tape recording of the interview – you are on one side of the tape and Captain Sensible from the Damned is on the other side. I have no recollection of whether I used the interview or not – if it really was December 1988, I was writing for Scootering and maybe Underground at the time, but I was coming to an end with both magazines and about to launch a rap magazine, so maybe it didn’t get used – or if you really were bad at talking (as you say in your article), then maybe I didn’t use it for that reason. 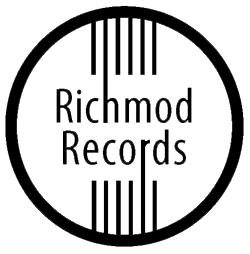 I used most things I did – except Terry Hall of The Specials did an interview with me once that was so bad I didn’t bother using it, and I remember a Rainmakers interview didn’t get used about that time, so it did happen occasionally. “I’ve just found the date of the interview and it was actually done on May 28, 1989 – the gig was a bank holiday weekend and explains why we both remember it as being good weather!